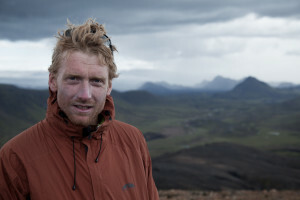 Alastair is an adventurer, author and motivational speaker. He believes that adventure is a state of mind and within the grasp of all of us. No daunting, costly expedition necessary! 1. What advice do you have for urbanites and scaredy cats in search of a micro-adventure? My advice is to start small and not be too ambitious. Go with a couple of friends – there is bravery in numbers. Head out of the city one Saturday afternoon. Climb a hill and camp on the top. Take lots of nice food and maybe a bottle or two of wine (remember the corkscrew!) Leave the place spotless when you leave in the morning and nobody will know you have been there. It’s a tiny adventure but you will be talking about it for a year and hopefully it will give you the confidence to try something bigger next time. 2. How would you describe your relationship to nature & what have you learned from the challenging moments you’ve experienced in the wild? I feel very comfortable out in the wild. I find it relaxing, calming, and so much easier and safer and simpler than ‘the real world’. I’ve also learned that I am very small and fragile and that nature is very large and uncaring. I have learned humility and perspective from this. I have also learned that I am tougher than I realised, more determined than I knew, and more competent too. That is all good for self-confidence. 3. What’s your favourite pocket of wilderness ? Close to London, where I live, I’d say the Chilterns and the area around the Seven Sisters / Beachy head. Overall in Britain I love the area around Torridon and Wasdale.